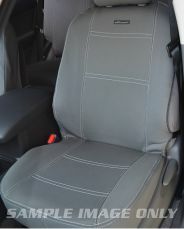 Wetseat are Aussies making for Aussies, that’s why when it comes to car seat covers, our experience has made us leaders in the market. We know what your Mazda needs to be protected against the harsh Aussie climate, so you can keep playing in the mud or surf without the mess. We have aligned our covers with the Australian lifestyle, that’s why we use neoprene. Being UV safe, and highly water, abrasion and chemical resistant, be sure that your Mazda BT 50 seats are well protected. Our Mazda BT 50 car seat covers protect against absolutely anything you may throw at it. 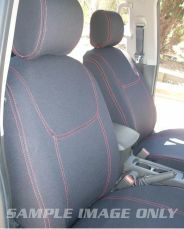 Our aim is to produce not only aesthetic neoprene seat covers, but also completely practical and durable. 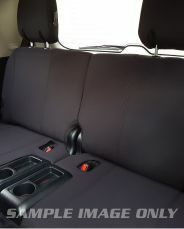 Our customised Mazda BT 50 seat covers are 100% accurate, ensuring no obstruction to current features of the car. They are all compatible to side seat airbags, a very important feature to make sure you have a safe travel. We cover the Mazda BT 50 because we know that your car will be hitting the intense crazy Australian lifestyle. 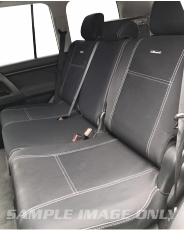 We use neoprene purely to protect your Mazda BT 50 car seats against absolutely anything and Wetseat ensures that our seat covers go beyond Australian and International Standards. Wherever you go, know that your adventure will be fun without the stress of a mess.